Cryptozoic is most known on this website for making the trading cards for Outlander. So far, they have released seasons one and two of the trading cards. If you attended San Diego Comic-Con last year, the Cryptozoic booth had the season two cards on display as well as the option to purchase some of the promo cards. Cryptozoic is back at SDCC 2018 and they are bringing two Outlander merchandise items with them to Booth #115. 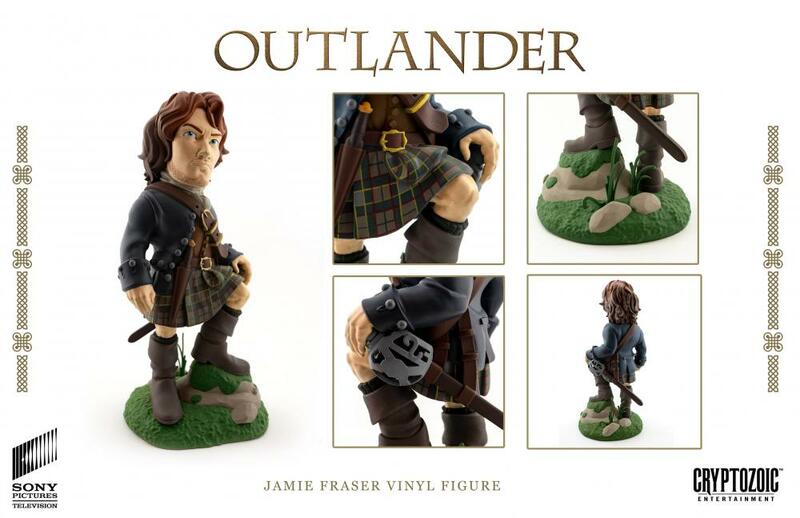 The first is a Jamie figurine that is a limited edition of 3000. The figurine will be available for sale for $40 at SDCC and is also available for purchase through their store. To promote their Outlander season three trading cards coming out later this year, an exclusive wardrobe card will be available for purchase at SDCC. 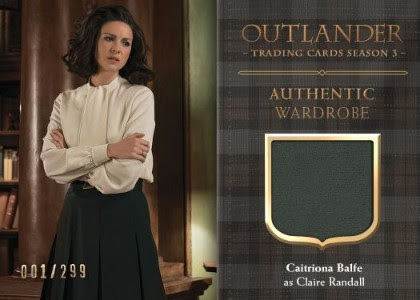 It is a Claire wardrobe card, limited to 299 cards, and priced at $25. This entry was posted in Merchandise, SDCC and tagged Cryptozoic, Merchandise, SDCC by Sarah Ksiazek. Bookmark the permalink.